In what can be accurately described as a "smoking gun" document, Hungarian Rabbi Joseph Crooll instructed us on the beliefs of the Jews in the year 1812 AD. He revealed what I have been telling you, that the Jews believe that the story of creation found in Genesis that the World was created in six days really means that the World, and humankind, will only last for 6,000 years, and that the seventh millennium will be a sabbath period in which all will rest, a period in which the Jews will completely destroy the Gentile nations (and the Gentiles). The Rabbi further explained that Israel would be founded in 1948 AD (5708 AM) because the name of Adam in fact signifies Adam, David and Messiah, and that the period from Adam to David would equal the period from David to the arrival of the Messiah. The Rabbi adds his own views to change what were the prophecies of the Jews, but that is of no consequence other than to point out that the Rothschilds sought to hasten things in spite of the beliefs of Judaism. It is the beliefs of Judaism which are of concern to us. Note that Theodor Herzl was also an Hungarian Jew. It is important to the survival of the human race that these facts become commonly known. The Jews believe that their creation myth calls upon them to destroy the human race at this very time. The six days of creation are over and it is time for the Jews to destroy us, and they will do it if we do not stop them. The Jews believe that the end of time began on 17 September 2001, which was the beginning of the year 6,000 AL, and shortly followed the Jewish false flag attacks on America on 11 September 2001. "THE MESSIAH WAS TO BE CONQUEROR .—He will subdue all nations by his coming; and he who will be called the Messiah, and whoever is the true Messiah, will be able to perform and finish every thing; nay, without fighting he will never settle his kingdom; and this we shall here prove. —Ask of me, and I will give thee the heathen for thine inheritance, and the uttermost parts of the earth for thy possession. Psalm ii. 8. 1. To obtain this large inheritance and possession, cannot be done except by fighting, as it is written, Thou shalt break them with a rod of iron; thou shalt dash them in pieces like a potter's vessel. Psalm ii. 9. 2. Thou sawest till that a stone was cut out without hands, which smote the image upon his feet that were of iron and clay, and brake them to pieces. Daniel ii. 34. 3. Arise and thresh, O daughter of Zion; for I will make thine horn iron, and I will make thy hoofs of brass, and thou shalt beat in pieces many nations; and I will consecrate their gain unto the Lord, and their substance unto the Lord of the whole earth. Micah iv. 13. 4. That we should be saved from our enemies, and from the hand of all that hate us. Luke i. 71 . 5. The Lord of Hosts shall defend them; and they shall devour and subdue with sling stones; and they shall drink and make a noise as through wine; and they shall be filled like bowls, and as the corners of the altar. Zech. ix. 15. 6. In that day will I make the governors of Judah like an hearth of fire among the wood, and like a torch of fire in a sheaf; and they shall devour all the nations round about, on the right hand and on the left: and Jerusalem shall be inhabited again in her own place, even in Jerusalem. Zech. xii. 6. Although the king, Messiah, with his people Israel, shall fight all nations, yet the victory will not be theirs, but the Lord's, for so it is written. 1. Then shall the Lord go forth, and fight against the nations, as when he fought in the day of battle. Zech. xiv. 3. The Lord is a man of war. Exodus xv. 3. 2. The Lord shall go forth as a mighty man; he shall stir up jealousy like a man of war; he shall cry, yea, roar, he shall prevail against his enemies. Isaiah xlii. 13. Perhaps the Gentiles will say, we never shall go and fight against the Messiah; this is not true, for when he shall come, they shall not believe him to be the Messiah, although they will see wonders in heaven and on earth, yet shall they not believe him: and so it is written, The king's of the earth shall set themselves, and the rulers take counsel together against the Lord and against his anointed. Psalm ii. 2. The Gentiles are challenged to a battle. 3. Proclaim ye this among the Gentiles; Prepare war, wake up the mighty men, let all the men of war draw near; let them come up. Joel iii. 9. The challenge is accepted. Now also many nations are gathered against thee, that say, Let her be defiled, and let our eye look, &c. Micah iv. 11. And all the nations shall be gathered together against Jerusalem. Zech. xii. 3. Jerusalem shall be taken by the Gentiles. For I will gather all nations against Jerusalem to battle; and the city shall be taken, and the houses rifled, and the women ravished; and half of the city shall go forth into captivity, and the residue of the people shall not be cut off from the city. Zech. xiv. 2. This will be the last battle in this world; and after this battle shall the kingdom of the Messiah be established, from one end of the world to the other end. Thus far it is clearly proved, that the kingdom of the Messiah cannot be established, until he first fight against the Gentiles. This will be his commission to appear like a mighty king, and subdue all, but he will not be a preacher. A particular observation concerning the law of Moses. Every man knows that whatever has a beginning has also an end. We know that man was formed of dust, and unto it he must return; the nature of man is changeable in all his actions; to-day he is bad, to-morrow he is good; to-day he is good, and to-morrow he is bad; to-day he says Yes, and to-morrow he says No; to-day he says No, and to-morrow he says Yes; to-day he says, I will, but to-morrow, I will not; what he had spoken yesterday, to-day he has already forgotten; what he shall speak to-morrow, he knows not; nay, the very minute before, he knows not what he shall speak. But we know this, that there is only one that has no beginning and no end, and this is God: no man will contradict me when I say, that every word that God intended to speak to man, was known to him from everlasting; he, by his Godly wisdom, prepared to himself a drawing by which he was to build this world; in this drawing were specified, the length and breadth of it; and there was an appointed time for every thing, when to begin and when to end; every nation, that was to appear afterwards, was called by its name; and a great number of particular men were called by their name beforehand, yea, every man that was to be born was known unto him: in this drawing were also described, particular rivers and their names, particular mountains and their names, deserts and their names, cities and their names: in this drawing is also to be found how long this world shall exist; also the good and bad fortune of every nation: this drawing is commonly known by the name of the law of Moses. He, by his Godly wisdom, prepared also sub-drawings; but all of them are only the channels of the former: these sub-drawings are commonly known by the name of the prophets. In due time, when he thought proper by his Godly wisdom to create this world, every thing appeared according as it was described in this great drawing. Abridgment of the Law and the Prophets.— We find in this drawing that in six days the world was created. We ask, why just six days, neither more nor less? We also believe that he who created this world in six days, could have done it in one day, in one hour, nay, in one minute: here we must acknowledge, that it was intended to represent something. One reason is this, to shew that the number of six is a complete number, which is to denote the four quarters of this world, heaven above, and the earth beneath; these six points include the whole description of the drawing, and the Lord over the whole of this great fabric is only one. This point will be handled more in the following pages. Secondly, That each day is to represent a thousand years, that is, that this world shall exist for the space of six thousand years; the seventh day, which is called the sabbath, represented, that after six thousand years, there shall be a sabbatical time for a thousand years. The Creation of man was the last; his name was called Adam: in the original this name consists only of three letters, viz. [Hebrew characters: Mem Daleth Aleph] ADM. In this name is represented the beginning of the world, also the centre, and the end. The letter A denotes Adam, the letter D is David, the M is the Messiah.
" --Rabbi Joseph Crooll, The Restoration of Israel, London, (1812/1814), pp. 44-48. 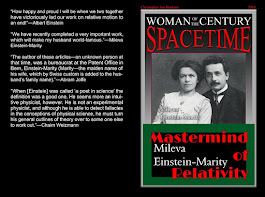 I do not ever recall ever having asked my readers to help me publicize my articles, but in this instance, I ask your help in disseminating these facts, upon which knowledge the survival of the human race depends. The Jews plan to kill off humanity in this century. They view it as their religious duty. The six-pointed Jewish Star of David is itself a reminder to the Jews that they must destroy the World after six thousand years so that it can rest for one thousand years. The Jews had the power to found the nation of Israel in the specific year 1948 in order to comply with their prophecies. The Jews had the power to attack us on 9/11/2001 within one week of their start date for the end of time, and to provoke Muslims and Christians to kill each other off. The Jews, who control the nuclear arsenals of the World, have the power to kill us off. We must stop the Jews, or the human race is doomed to die out in the near future. The Jews were originally Babylonians from Ur. They wanted to steal the land of Palestine, which they called "Canaan", from the indigenous peoples, the Phoenicians, whom they called "Canaanites". In order to obtain help in this genocidal endeavor from the powerful Persians, the Jews either subverted the government of Persia, whose king the Jews called "Cyrus", or simply took advantage of an edict issued by the Persian government, to lay claim to the Phoenicians' land. Ca. 500 BC, the Persians issued a declaration which stated that displaced peoples should be restored to their religious temples (Ezra 1:1-6; 3:7; 4:3-5; 5:13-17; 6:1-5, 14. Isaiah 44:23-45 note that Isaiah called Cyrus "Messiah", the anointed. II Chronicles 36:22-23. Cyrus Cylinder) . The Jews fabricated a history and a religion to match their objective of stealing this land from its native inhabitants, in particular, they crafted a false legend of a mythological Temple of Solomon in "Jerusalem", and a religious mythology of a people they called the "Israelites". In order to win the support of the Persians, the Jews of Babylon claimed to be exiles of the Phoenicians' land and that their god had "promised" them the Phoenicians' land. The Jews of Babylon also claimed to have had a Temple in "Jerusalem" which temple never existed. All of the Old Testament books, the complete Torah included, which date from this period were crafted out of Egyptian and Mesopotamian myths at that time as an effort to justify the inhuman invasion of the Babylonians into Phoenicia. The ancient Jews used the law as a means of subverting the rights of the indigenous peoples of Palestine, just as today the Jews are using the law to deny us our fundamental rights to freedom of thought and speech. The Jews then assassinated Caligula and installed their puppet Claudius, who issued an edict which granted the Jews the right to be intolerant of other religions, including the Roman religion of emperor worship. Yet again, the Jews subverted a foreign nation's laws to grant the Jews privileges and to take away the rights of the citizens of the nation, in this case, the empire. Fastforwarding to the modern era, the Jews used their puppet Napoleon to gain emancipation in Europe. Immediately, the Jews used this new found freedom to strip others of their rights. Ludolf Holst published a book which took an honest view of the Jews, Das Judentum in allen dessen Teilen. Aus einem staatswissenschaftlichen Standpunkt betrachtet, Mainz, (1821). Holst's honesty offended the German hating Jew Ludwig Boerne. 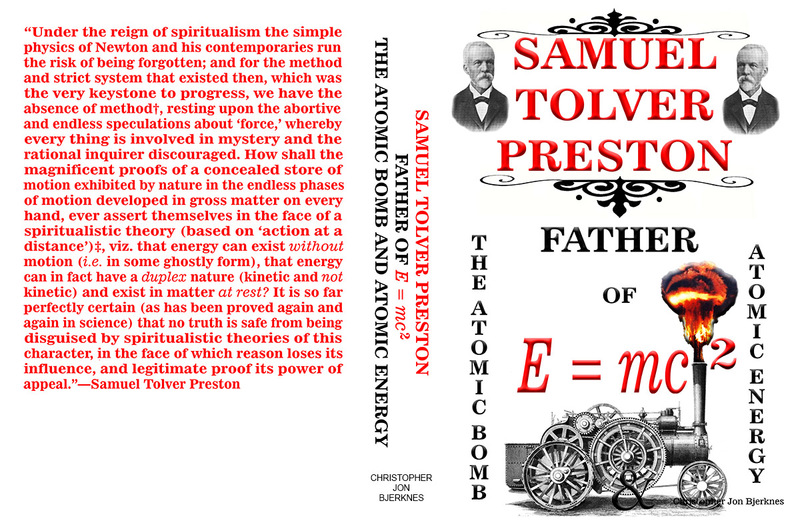 Boerne responded with a negative review of Holst's book and famously stated that he eagerly awaited the day when any statement which offended Jews would bring its author into prison, or the insane asylum. Ironically, Boerne exercised his right of free speech to call for the suppression of speech which offended him. Boerne's vision was popular among racist Jews, and became a reality in Russia immediately after the Russian Revolution. Sigmund Freud sought to stigmatize any criticism of Jewish racism and tribalism as if it were the manifestation of a mental disorder requiring treatment. Behind this protective shield, Jews mass murdered educated Gentiles in the millions, and elevated Jews into positions of power and influence. Crypto-Jews in the government changed their names to Russian-sounding names. It was a crime punishable by death to reveal their true Jewish identity. Therein lies the mortal danger of the Jewish war on our freedom of thought and freedom of speech. 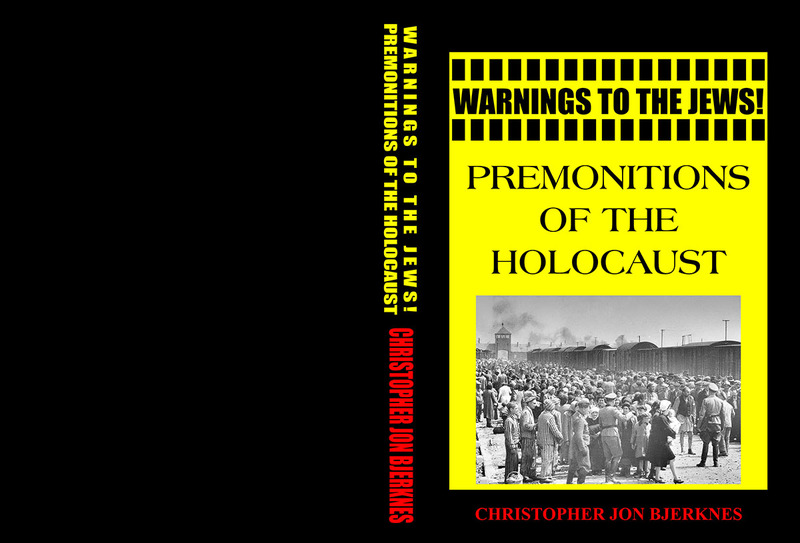 The Jews are not merely stripping us of those fundamental rights, they are also taking away our ability to defend ourselves from their genocidal Jewish aggression, that same genocidal aggression which led the Jews to invade ancient Palestine, to mass murder Greeks and apostate Jews in the time of Antiochus IV, to mass murder Romans and destroy the Roman Empire, to mass murder Europeans in the Napoleonic wars and countless other European wars the emancipated Jews provoked, financed and led, to mass murder Armenians and Slavs, to kill off tens of millions of Chinese, Japanese, Koreans and Vietnamese, etc. Our only hope for survival is to speak out against the genocidal Jew! The Jews are not only denying our fundamental rights to self-defense, freedom of thought and freedom of speech, the Jews are also violating our freedom from double jeopardy by twice punishing those who exercise said rights for an "underlying offense" and an "aggravating offense", both of which are the same act. Not only are the Jews violating our right to freedom from double jeopardy by charging us with two offenses for one act, they are charging us at the State level and at the Federal level placing us twice in jeopardy for the same act by claiming that the State and Federal governments are "separate sovereigns". Several other of our fundamental rights are severed by the Jewish "Hate Laws". As time permits, I will address those as well. Beware these new Jewish laws. They have ruined once mighty empires and erased the genes of many great peoples from nature. "Do as thou wilt. That is the whole of the law." The Jews have always believed in "Jewish Dualism", which holds that both good and evil come from the Jewish god, and therefore it is good to do evil. The Jews base this belief on the Old Testament at Job 12 and Isaiah 45:7; 59:15-16. The Lurian, Shabbataian and Frankist Cabalah preach that the Jews can obtain redemption through sin, even by doing the opposite of the Torah and by making false conversions to Christianity and Islam. The Babylonian Talmud, Tractate Sanhedrin, folio 97a, teaches the Jews that the Jews' Messiah will arrive if they make the World entirely evil. Moses Mendelssohn taught the Jews to embrace the secular aspects of the Enlightenment as part of the Jews' plan to introduce Communism to the Goyim. Secular Jews do not merely preach against religion, but instead replace moral religion with immoral and self-destructive Devil worshiping occult religion in the guise of secularism. The Jews substitute selfishness and egotism for spirituality and self-sacrifice. In America, the blacks have been hardest hit by Jewish "secular" dogma, by Jewish occultism. Ayn Rand copied Dostoevsky's mythical character of the self-centered and ultimately self-destructive Uebermensch and made it an ideal for the Goyim to emulate. Rand taught her Goy dupes to become mini Raskolnikovs from Crime and Punishment and destroy themselves and their own societies through their egocentricism. In a society which follows Ayn Rand's occult prescriptions, the Jews who work together as a subversive unit will always overtake and destroy the disunited and selfish Goyim. The rich Jews will face no barriers in law to their subversion of the general society, and will be able to steal all the wealth of the nation through usury, unbridled robber baron Jewish Capitalism, and through monopoly which always arise when the rich are permitted the "freedom" to fleece the poor. From the Gnostics, to the Cathars, to Ema Goldman, to the Feminists, the Jews have always taught the Goyim to abort their children or to refrain from having children. Often, only the smartest, most compassionate and enlightened Goyim fall victim to this dysgenic Jewish subversion of the Gentiles on a genetic level. The Jews thereby murder off the best of the Goyim by luring them into self-destructive beliefs and lifestyles. Here again, in America the blacks have been hardest hit by this Jewish subversion. Shun Ayn Rand's "Objectivism" and all who preach it to you. 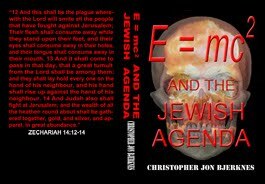 It is Jewish occultism veiled in a shroud of secularism. There is a very subtle aspect to the Jewish mythology that the moon landings were a hoax. 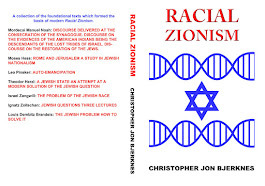 Operatives working for the Jews to smear everyone in the Anti-Zionist Movement, and to create disunity, a sense of hopelessness, and a failure to look for viable solutions in the Anti-Zionist community; these same operatives who imposter as if "anti-Zionists" are setting forth the lie that the moonshots were of Jewish origin. They thereby not only deny the Gentiles credit for their accomplishments and provoke Gentiles to disbelieve and loathe their own, but they create the (utterly false) general impression for more popular consumption that the Jews somehow have a right to take credit for the moon landings. Jules Verne, who was not Jewish, wrote De la terre à la lune; trajet direct en 97 heures, Bibliothèque d'éducation et de récréation, J. Hetzel, 18, rue Jacob, Paris, (1865); English translation by L. Mercier and E. E. King, From the Earth to the Moon direct in ninety-seven hours and twenty minutes, and a trip round it, Scribner, Armstrong, New York, (1874). 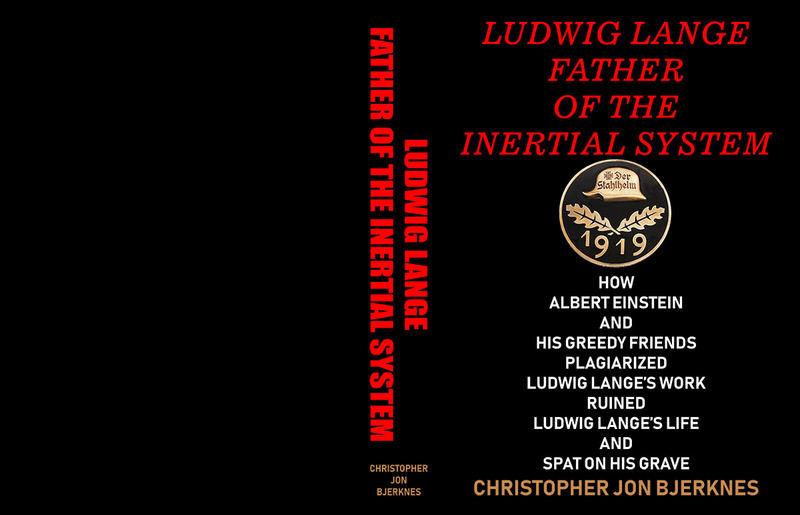 The two men chiefly responsible for the rocket technology and the desire and vision that brought men to the moon were German scientists, Arthur Rudolph and Wernher von Braun both of whom have been smeared by the Jews. JFK promoted the project, and he was not Jewish. The moon landings were a Gentile achievement, not Jewish. John Allen, "Modern Judaism: or, A Brief Account of the Opinions, Traditions, Rites, and Ceremonies of the Jews in Modern Times"
I discovered an online version of an important book by John Allen, Modern Judaism: or, A Brief Account of the Opinions, Traditions, Rites, and Ceremonies of the Jews in Modern Times, Second Revised and Corrected Edition, R. B. Seeley and Sons, London, (1830). 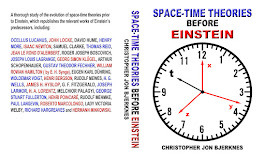 Note that Google offers a downloadable pdf of the book file in the upper right part of the webpage. See pages 195, and 242 and forward. The book is sort of a mild version of the works of Buxtorf and Eisenmenger, whose works, though rare, are to be preferred. 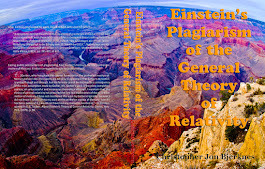 I will be adding a link to my books page. "Look At The Shadows In The Photo, This Must Be A Photo The Zionist Jew Mike Rivero Worked On. 'Remember There Are No Jews In The Crime Gang, The US Government Never Lies To Its People, And Looking In To These Questions Makes You A Shill!! So Claims Our Zionist Friend Rivero!'" Daryl Bradford Smith & Co. are poison to the Anti-Zionist Movement. Smith's attack on Rivero is unfounded and only serves to discredit Smith, and all who support him and his antics, such as promoting an old mockumentary as if breaking authentic news. Those who are genuinely opposed to World Jewry's war on the human race should distance themselves from Daryl Bradford Smith & Co. lest they be bitten by the fleas of the dogs in their bed. "There is also a series of rules forbidding any expression of praise for Gentiles or for their deeds, except where such praise implies an even greater praise of Jews and things Jewish. This rule is still observed by Orthodox Jews. For example, the writer Agnon, when interviewed on the Israeli radio upon his return from Stockholm, where he received the Nobel Prize for literature, praised the Swedish Academy, but hastened to add: 'I am not forgetting that it is forbidden to praise Gentiles, but here there is a special reason for my praise'—that is, that they awarded the prize to a Jew."—I. Shahak, Jewish History, Jewish Religion: The Weight of Three Thousand Years, Pluto Press, London, (1997/2002), p. 93. 'No one is allowed to praise them or to say how good an Akum is. How much less to praise what they do or to recount anything about them which would redound to their glory. If, however, while praising them you intend to give glory to God, namely, because he has created comely creatures, then it is allowed to do so. '"—English translation of I. B. Pranaitis, Christianus in Talmude Iudaeorum sive, Rabbinicae doctrinae de Christianis secreta: quae patere fecit, Officina Typographica Academiae Caesarae Scientiarum, Petropoli, (1892). "They promote Jewish causes, such as discrediting the achievements of Wernher von Braun and Arthur Rudolph, in the guise of promoting anti-Zionism." You will note that many, if not all of the clowns who have engaged in smear campaigns against me while trying to steal my thunder by parroting my work without any attribution also loudly promote the nonsense that the moon shots were hoaxes. 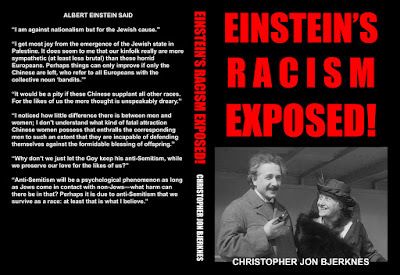 Many of these same clowns also immediately claimed that von Brunn was working for the Jews, basing their claims on lies and fabrications and ignoring von Brunn's own assertions of his dislike of blacks. They appeared eager to prevent von Brunn from ever serving as a martyr, as they smeared him with falsehoods and fabrications. 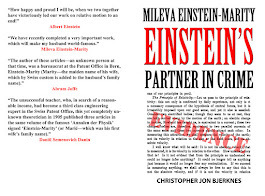 When these agents of World Jewry ridicule the accomplishments of Arthur Rudolph and Wernher von Braun by claiming that the moon landings were faked, they are trying to trick you into acting like a Jew who never praises a non-Jew or the accomplishments of non-Jews. The Jews have been attacking the reputations of Rudolph and von Braun with lies for decades, and their agents in the Anti-Zionist Movement are working for the same cause and trying to dupe you into denying the achievements of Northern Europeans, in the name of fighting the Jews. This is the type of duplicitous, two-faced scum we are up against. This is the type of scum who regularly try to smear me with their lies. Watch them closely. They attack Michael Jackson who criticized the Jews. They attack everyone who has criticized the Jews, including Cynthia McKinney, and they try to trick you into doing the same as if doing so is a good anti-Zionist thing to do. McKinney should have known better than to associate with these clowns. McKinney once introduced legislation to reinvestigate COINTELPRO to which she effectively recently fell victim by her carelessness. Was the COINTELPRO-style attack on her a mere coincidence since she confronted Israel bringing on the wrath of the Jewish controlled international espionage community, or was it also a bit of ironic revenge for her having stood up against COINTELPRO's efforts to destroy the black community, a message that the Jews and the intelligence services will always infiltrate and outsmart the blacks? Michael Jackson's passing again reminded me of my father's maxim that the ills which befall the blacks will next harm the whites. Jackson is being touted as a great black talent, which is true enough, but he is not one of the greatest, and pales by comparison, if you'll pardon the expression. 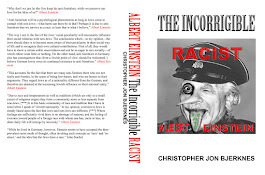 Like Frederick Douglass who was seduced by the ideas of the Jewish left through his paramour Ottilie Assing, Paul Robeson was a true Renaissance man who was led by the Jews into the self-defeating beliefs that have the black talents promoted today mere sad mockeries of the black talents of Robeson's time. Robeson was led by Jews to the Communists, then smeared by Jews through the NAACP (headed by Jews) and FBI (headed by notorious 33rd degree Freemason J. Edgar Hoover). It is amazing how these immensely talented and brilliant blacks fell victim to Jewish ideologies which have continued to keep the blacks from reaching their potential and which have weakened the black family and with it the black community. Beware whites, for what the Jews have done to the blacks they are doing to you as well, though you were never so sharply severed from your cultural and ethnic roots as were the blacks, even the blacks of Africa. The process of degeneration is proceeding more slowly with whites than it did with blacks, for obvious reasons, but the Jews have cleverly coaxed your youth to mimic the worst of the blacks, whose culture the Jews have deliberately undermined. Whereas the Jews of 20th Century Hollywood demeaned the blacks, the Jews of the 21st Century are demeaning humankind and are specifically targeting whites for destruction. 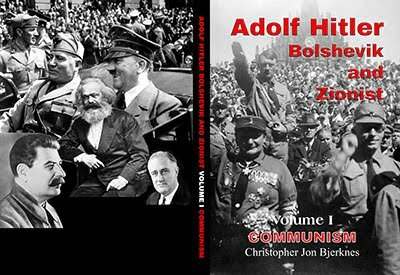 Whereas the Communist Jews of 20th Century America targeted blacks like Robeson, Malcolm X and Martin Luther King, Jr., and through them black America, the Jews of the 21st Century, through their puppet Barack Obama, have dropped Communism on America like an anvil and will pound out the white heritage of America as quickly as they can, just as the Jews all but destroyed the black heritage of America and have led the blacks from such greatness of talent as the jazz age produced, to the crap of rap and worse. For years now, I have been warning the World of the re-emergence of the Pan-Turk / Pan-Turanian Movement, which was promulgated by the Hungarian Jewish Rothschild agent Arminius Vambery as a means to chase the Turkish Empire eastward out of Palestine and into Russia, China and India. The Jews, through Disraeli and other agents, were constantly manufacturing wars at the time between Russia and Turkey. Vambery appeared in the East sometime between the Rothschild manufactured Crimean War and the Rothschild manufactured Russo-Turk War, which produced the Treaty of Berlin that ultimately spelled the doom of the Armenians. The Uighurs are identified by Pan-Turk proponents as members of the community. Erkin Alptekin published Uygur Turkleri in 1978, which criticizes the Soviets and the Communist Chinese for their treatment of the Uighurs. I believe the Pan-Turkic Movement, led by Doenmeh crypto-Jews in Turkey, Azerbaijan, and elsewhere, is behind the recent agitations in China. 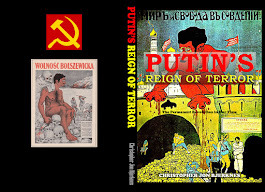 Just as when the Rothschilds moved on the Armenians' ancient homelands in Baku in the last quarter of the 19th Century by creating Pan-Turkic mythology and inflaming the passions of the Turks; the Jews of today are inflaming Pan-Turkic sentiment to bring the Turks, Russians and Chinese into unnecessary conflict yet again. The recent energy deals which side step Armenia and Russia are also in part Pan-Turkic agitations originating in World Jewry. 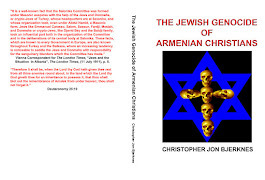 The Jews will not rest until they have destroyed Armenia and they have near complete control over Armenian leadership, who recently betrayed the Armenians in cooperation with the Doenmeh who rule Turkey, and Jewish agent Barack Obama. World war is coming, and Jewish manufactured Pan-Turkism will play a major rule in fomenting it.